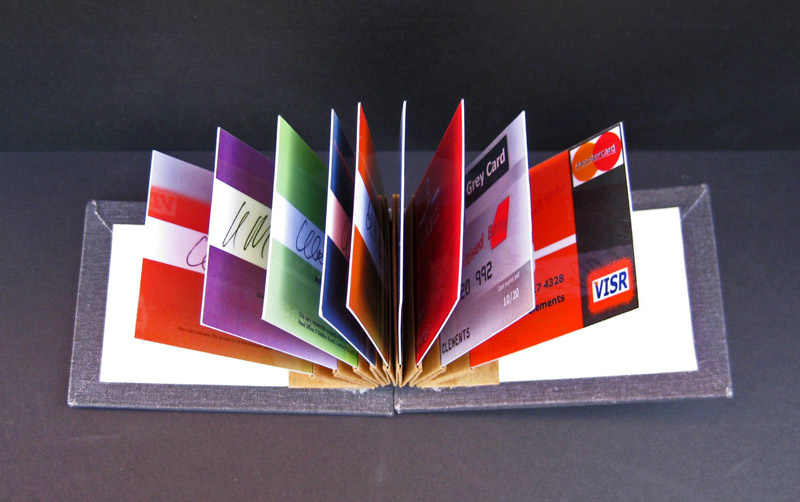 Lost Banks - a fan structure with nine removable fictional "credit cards" commenting humorously on public attitudes to bankers following the 2008 credit crunch. Prompted by receiving a new credit card on which the supplier's name was almost hidden and the supposedly prestige description "platinum" emphasised. This set me thinking of other possible banks that might not want us to know their name or how they run their banks. Digitally printed using archival inks.